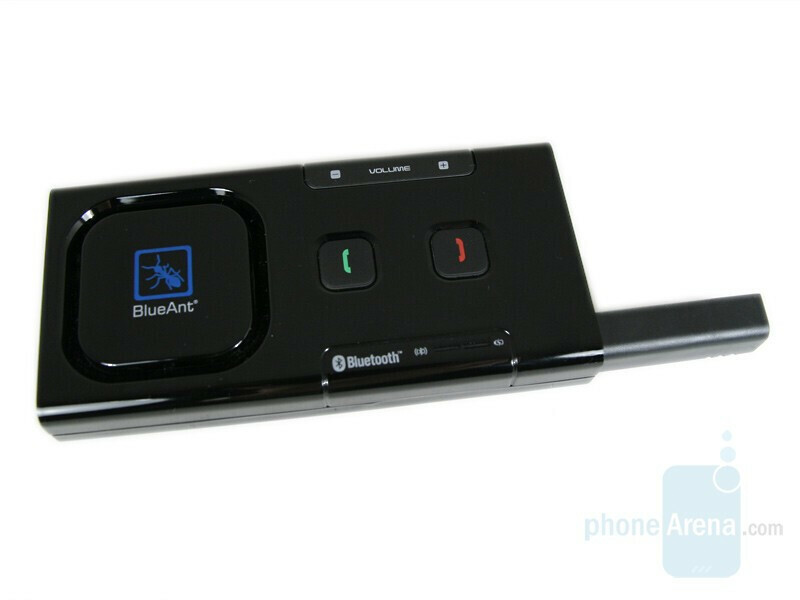 The Australian company BlueAnt is the leader on its continent in the manufacturing of Bluetooth accessories, as it strives to get a larger share also on the world market. The manufacturer offers various devices for wireless communication varying from headsets and car kits to hands free integrated in helmets. 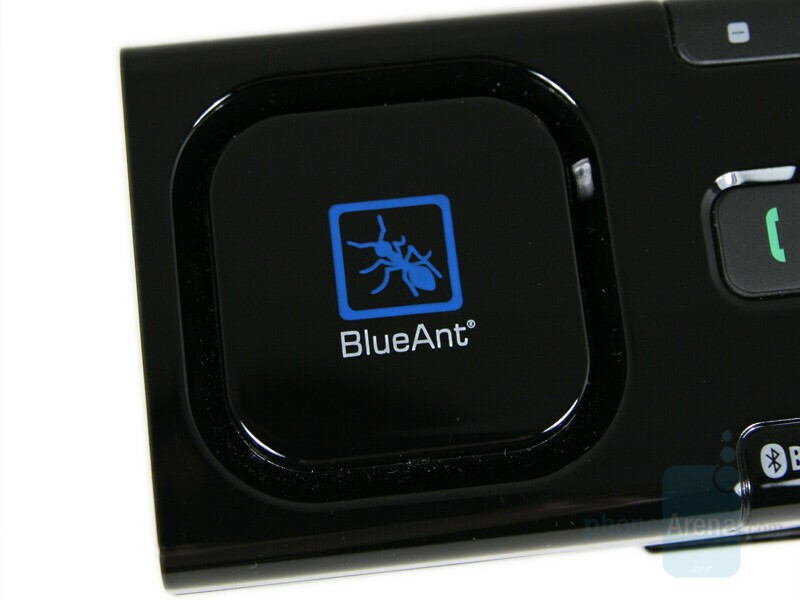 Today we will examine BlueAnt SuperTooth Light. 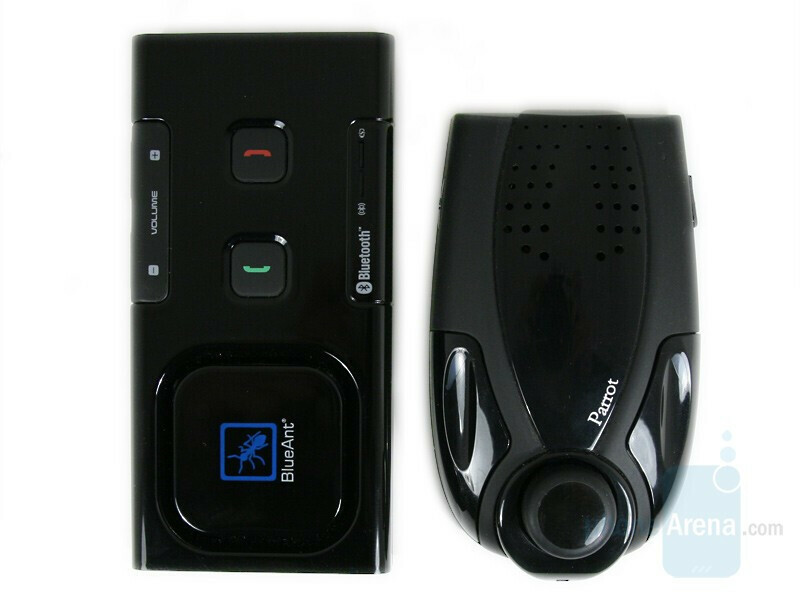 This is a one-piece-carkit with a loudspeaker, and is designated to work in cars, but it is made in such a way to allow its use in close premises, for example – in an office. 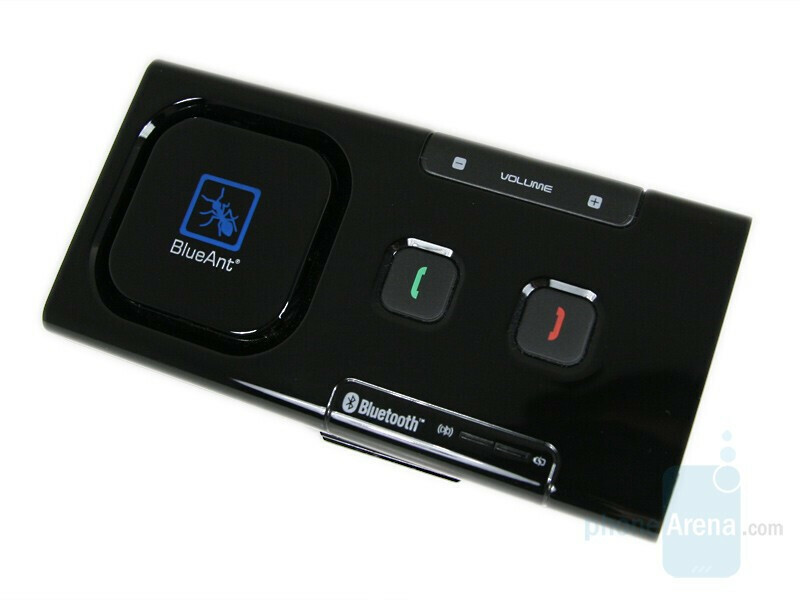 BlueAnt SuperTooth Light is designed for easy installation in the car and the company offers two varieties: white and black (our unit). Its dimensions of 122 x 60.2 x 18.2 mm (4.8 x 2.37 x 0.71 inches) and weight of 115 g (4 oz) do not rank it among the smallest and most light devices at the market, but it will hardly by uncomfortable even if you wear it often. 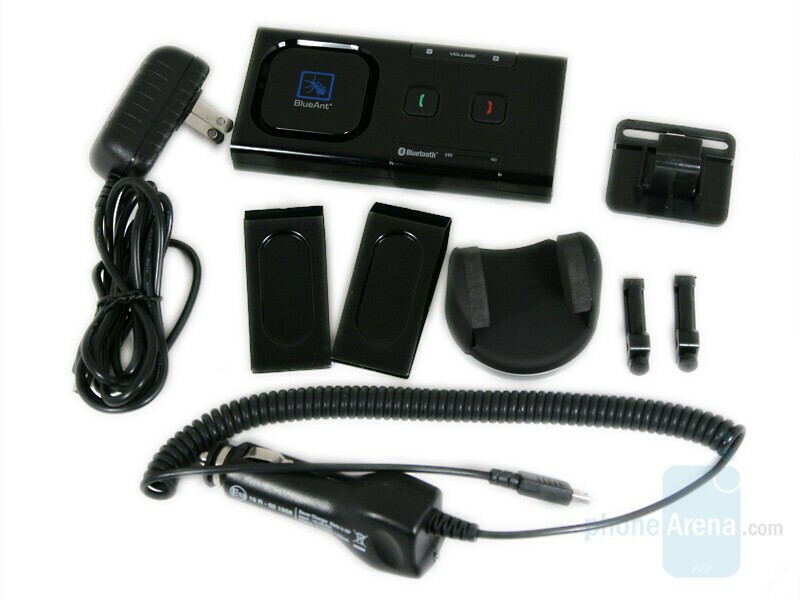 The unit tested by us, is made of shiny black plastic, as only the buttons, the side parts and the mic shaft are opaque. 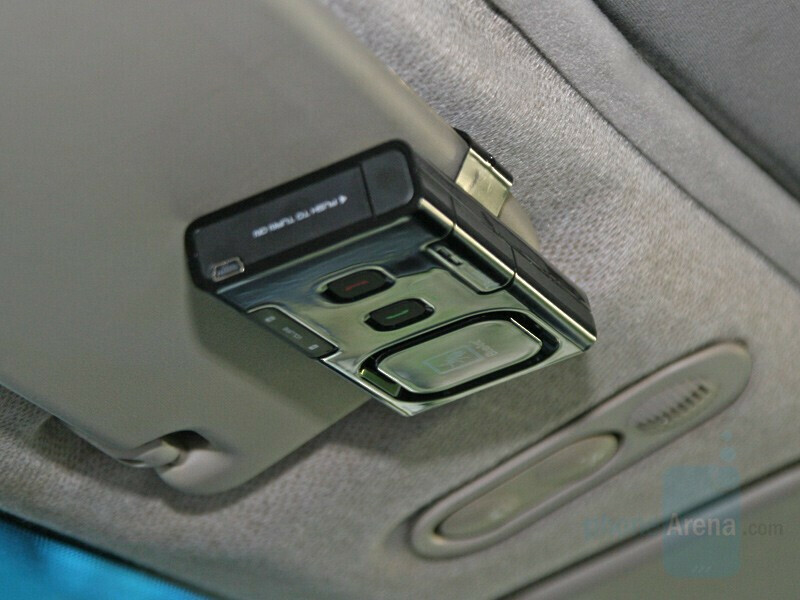 The shiny part makes the device look really good and to fits in the interior of most cars, but unfortunately after some time you will have to clean it from the fingerprints. 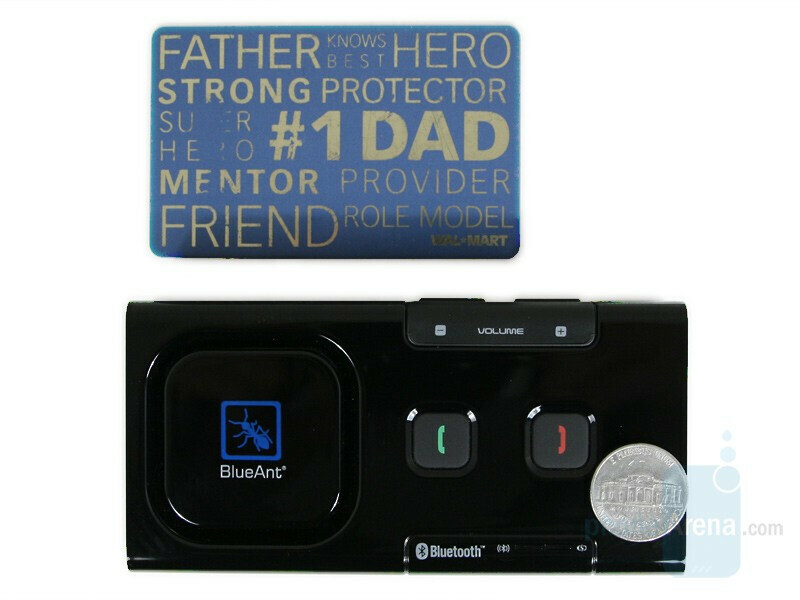 We would say that the word “installation” is too strong when we speak about the BlueAnt SuperTooth Light. 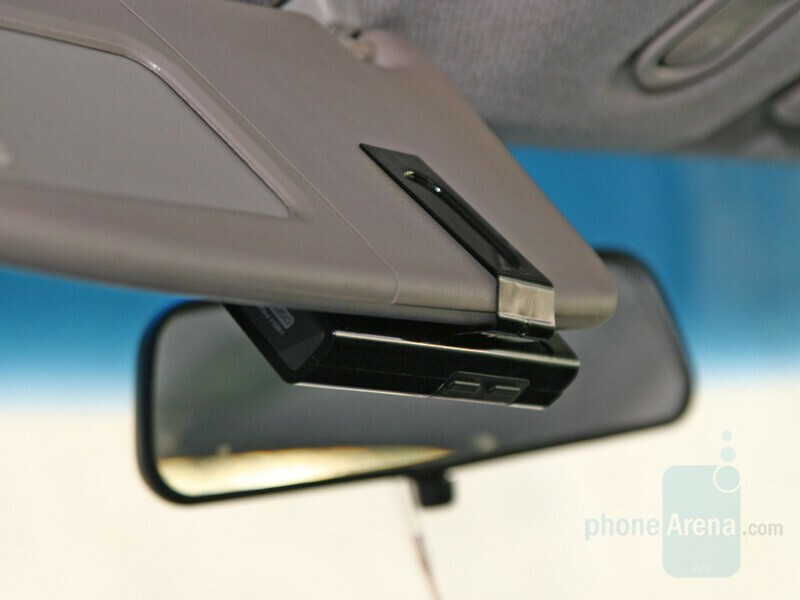 The device fastens to the sun-visor of the car via a strong metal clip, ensuring stability and security of placing without being necessary to use screws. The carkit is clutched to the clip by two magnets, which ensure not only good and strong fastening, but also quick unfastening, when necessary. The clip itself is two-sided and allows for fastening of the device no matter whether the sun-visor is pulled down or not. 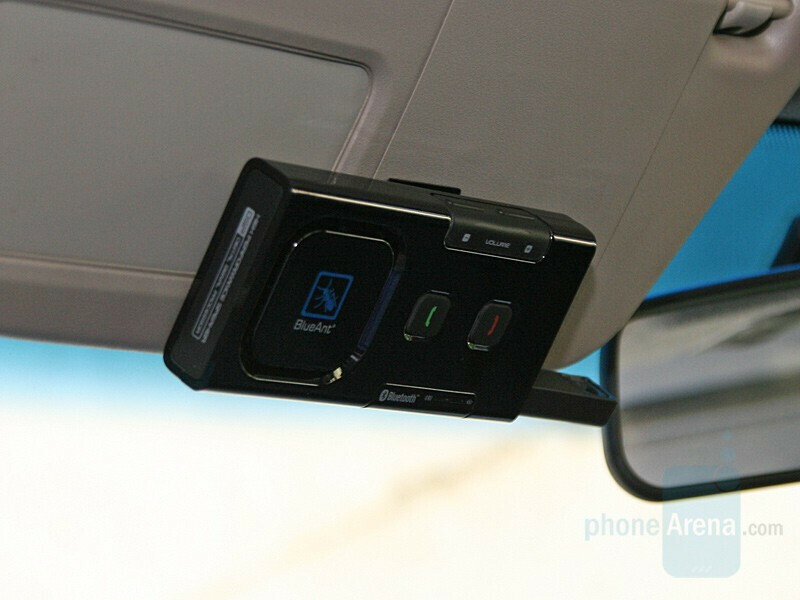 You just have to remove the handsfree, pull down the sun visor and put it on the other side of the clip. It happens quickly and easily, and the magnets themselves, which are located in the rear part of the device, go into the route made by the clip, which prevents sliding and facilitates its placing. There are 4 management buttons in total and a rubber mic shaft. 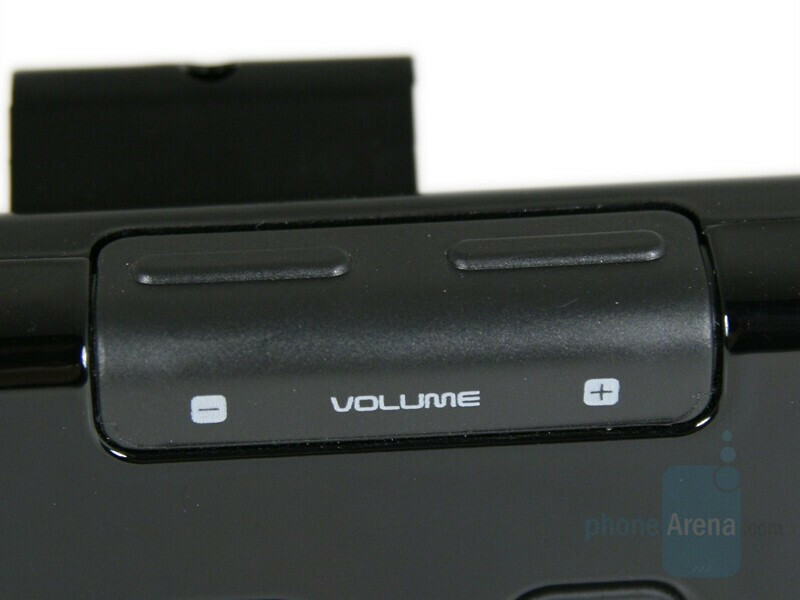 The volume up- and down- keys are made of rubber, as well, and are located on the side of the device, so that when it is installed they are directed towards you. Exactly underneath them, on the front side of the device, the accept and end/reject buttons are located. They are made of a hard material and are opaque, and have respectively a green and a red light underneath, which is so discrete that only reminds for their availability without blinding or irritating you. All buttons are large and are made in such a way that working with them does not take all your attention, but rather leave to drive peacefully. Pressing them is non-problematic and easy, and has a very goof tactile feedback, and it is possible to press them even with the soft part of the finger. 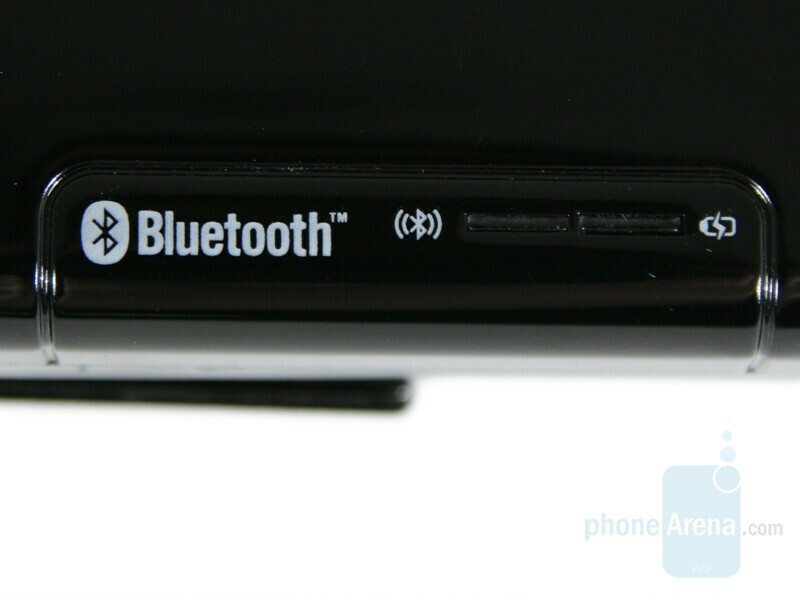 Further down under the end/reject button are located the Bluetooth and the charge indicators. The charge indicator shines in three different colors depending on the condition of the device. 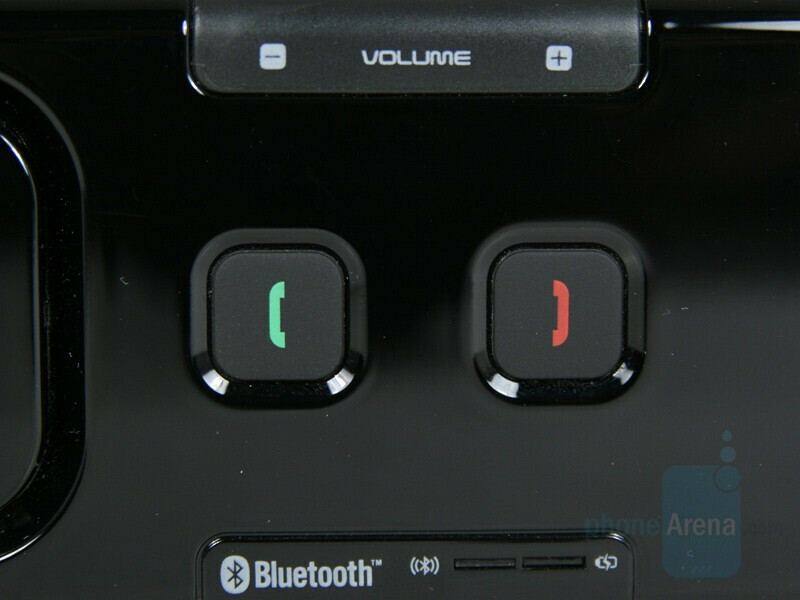 Red color is for low battery, orange color is for charging and green color is for fully charged battery.The Bluetooth indicator lights in two colors, as red means that it is off, and blue that it is on. The aperture for the loudspeaker is to the left of the buttons and indicators, since it takes almost half of the device, and above it is depicted the name and the logo of the manufacturer. We suppose that you have noticed that an on/off key is lacking. 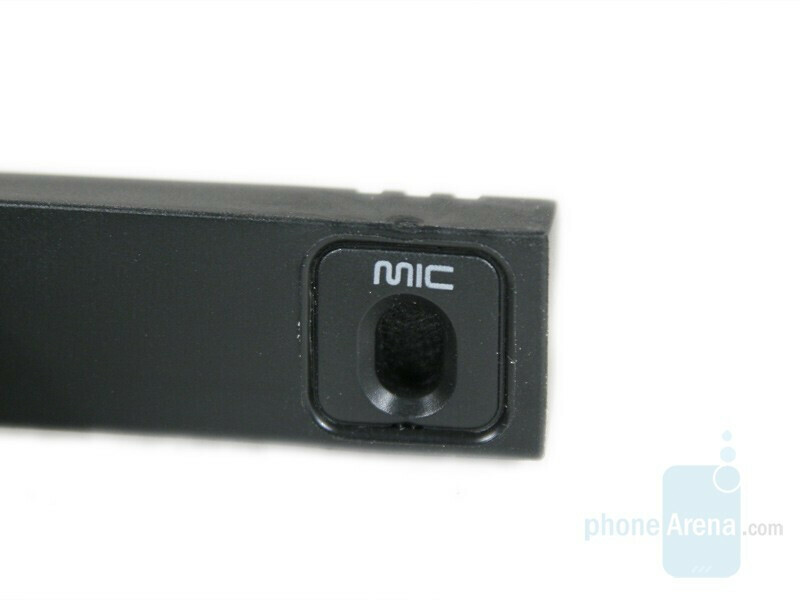 There is no such key and its function is entrusted to the mic shaft, located on the right side. You press and release the mic shaft and it protrudes 4 cm outside of the device, thus switching it on. Reversely, you switch it off, as you just press it and push it inside. This is a very good designer decision, which makes switching on/off extremely easy and comfortable. Moreover, in this way the distance between the mic and the loudspeaker is increased and the probability of causing of a micro-phony is decreased. 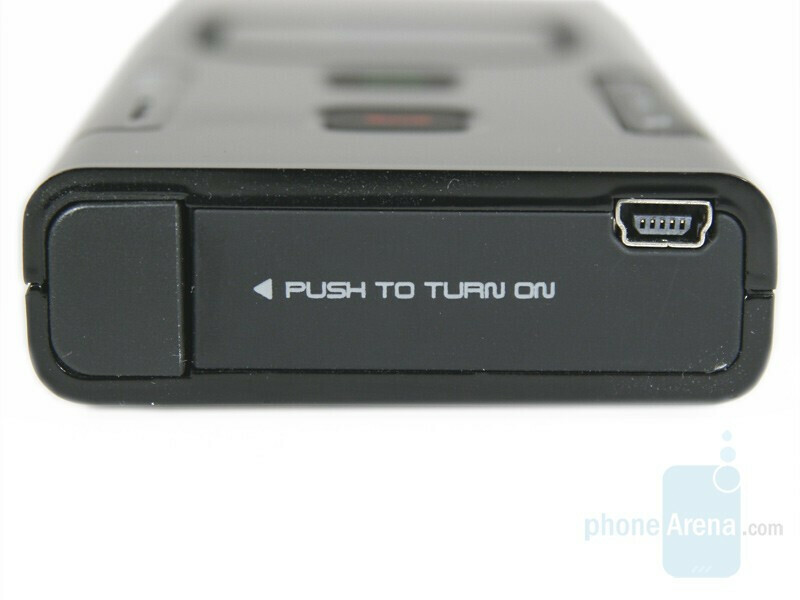 The miniUSB connector is located on the same side. 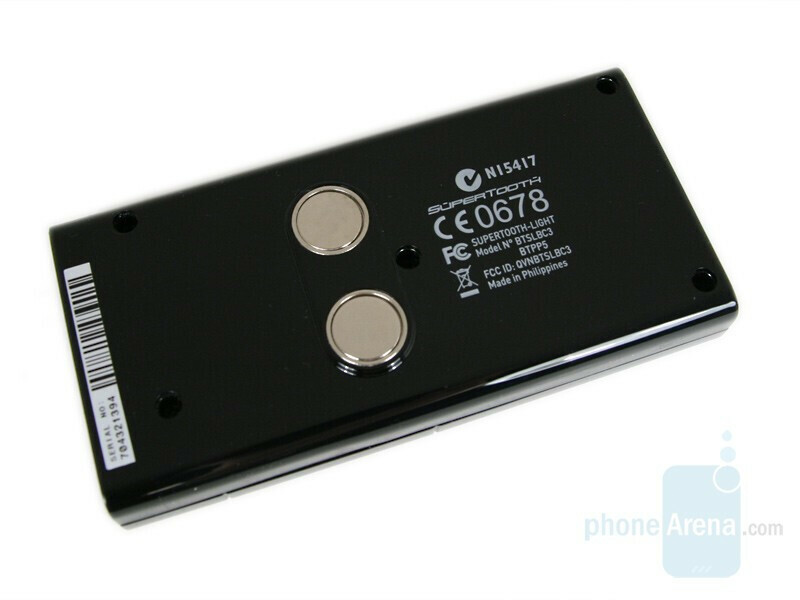 It is used for charging the battery of the device. 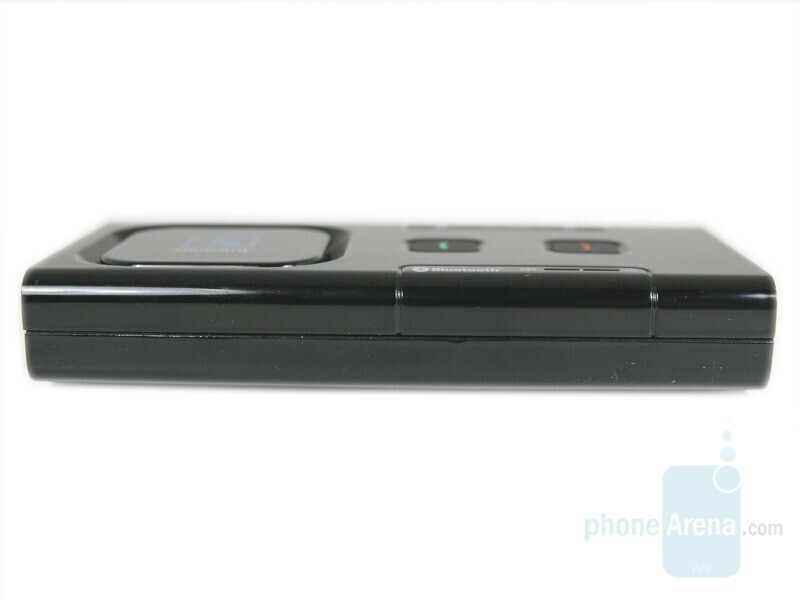 We would have liked to see a small display on the device, indicating the number of the person, calling you, but unfortunately you will have to look at your phone to see whether to pick up or not. 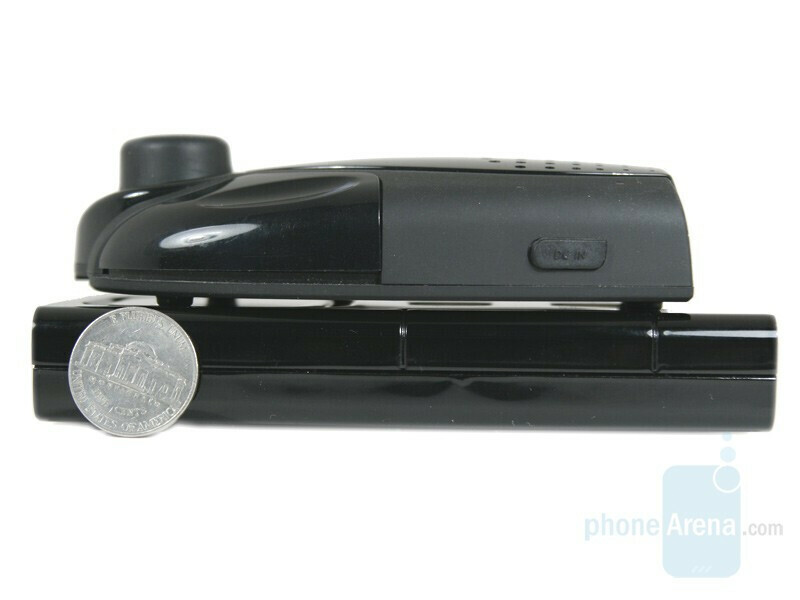 Nevertheless, if the phone is placed on a stand in the car, this will not be a problem, but if it is in your pocket or in your bag, it will be hard for you to access it, especially in hard traffic.